That’s right, alternative metal fans!! Bullet For My Valentine are back on tour this fall with their all-new album “Gravity”! The massive North American jaunt brings them to The Wiltern on Friday the 12th October 2018! Grab your tickets NOW and get ready to rock out!! The new album, “Gravity,” is due out June 29. According to frontman Matt Tuck, the band; "tried to make a different-sounding record, we've tried to approach songwriting differently, and a bunch of stuff. We don't wanna regurgitate anything we've done in the past… we wanna look forward to the future. We tried to make things bigger by calming things down on the technical side. So we've still got really big, massive heavy groove songs, but instead of being super-thrashy and technical on the guitar, they are far simpler and far more digestible, but it gives you a far bigger sound." 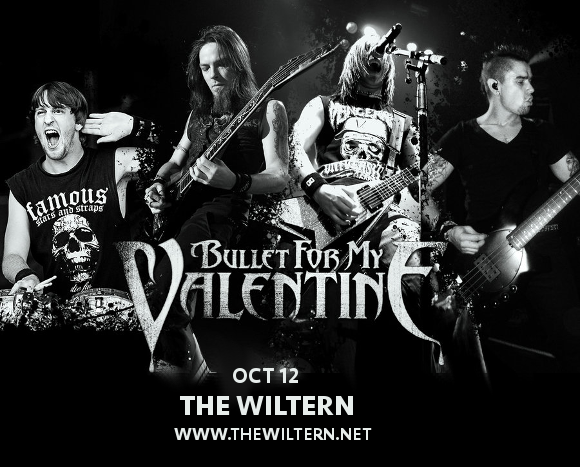 Get ready to experience all the new songs live – get your Bullet For My Valentine tickets today! !